Botanical documentation of sabal minor west of the North Carolina's fall line exist. Very interesting! I bet years and years ago birds or something dropped a few seeds in the piedmont and they grew. 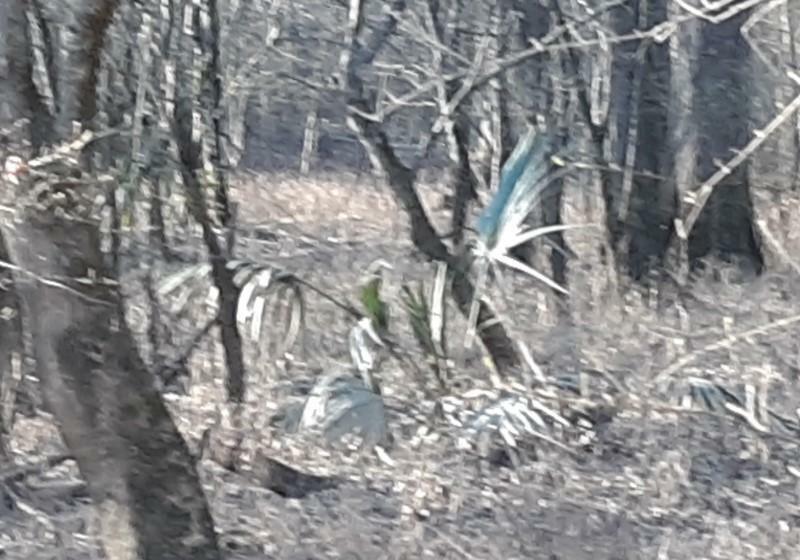 I have seen them naturalize here (I literally live on the Virginia fall line, just a little more to the west) or volunteer (probably a better word) around planted palms. If you let them go they will mature. Nice document! 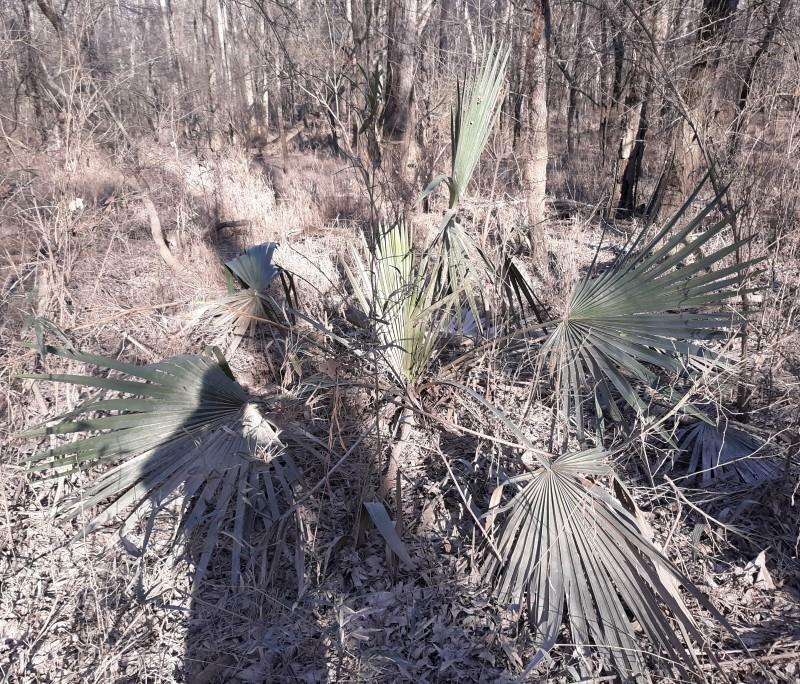 I would have never guessed that sabal minor went this far west in NC but according to these documentations, these palms were found adjacent to a few creeks near the Pee Dee River, about 50 miles east of Charlotte and 20 miles north of the SC border. These sabal minor in south central NC are considered native, with evidence of reproducing. I have no doubt that sabal minor once had a much more extensive range within the Carolinas up to Virginia. These documentations are proof that sabal minor can complete its entire life cycle in the temperate deciduous forest of the piedmont. In a week and a half, I'll leave work early and drive a half hour to this location to check it out. I already looked up the details. Two of my coworkers from there say walking around there is a good way to get shot. It is a rough area, mostly because of the locals. I used to live not far from there until the end of September. Really?! That’ll be great. Be safe, I can’t wait to see what you can find out there. 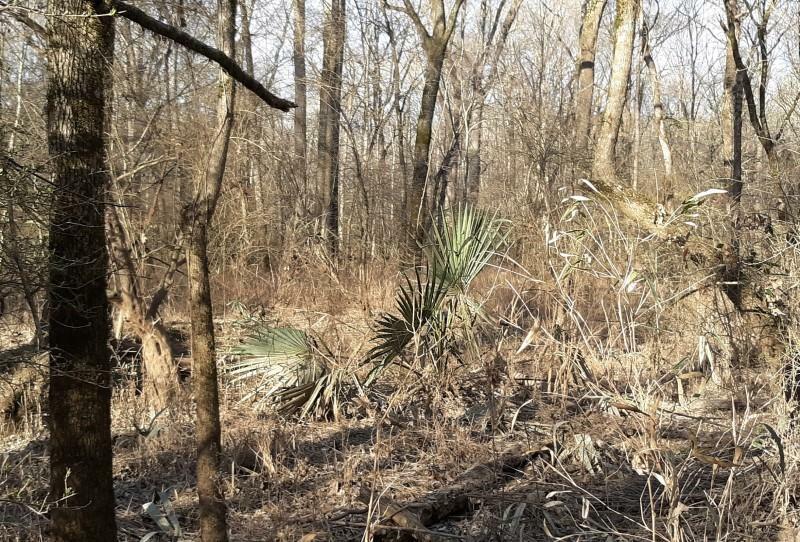 Here is a 2019 account of the palms near Ansonville, NC from an unnamed source. “The approach there to the palm stand is muddy swamp. Other than a nearby rural highway, the area is very wild with huge deer hoofprints. Reaching the site requires crossing several beaverdams and fallen trees straddling the creeks. I would definitely not recommend tromping through this area during warm months or hunting seasons, since it is prime snake and tick territory. About where the GPS location is where you find the palm stand. I did not get an exact count of the mature palms, but I estimate there to be less than ten. There were many more seedlings in the vicinity. There was an ambiguous sign that said the area beyond it was off limits. From the direction the sign faced, one might conclude that it meant the opposite bank of Palmetter Creek, if one took the sign literally. Unfortunately the majority of the palms were on the opposite side of the creek. They were close enough to easily see, but I didn't tread over there, due to the off limits sign. I would estimate that all of the palms were within a 100 foot radius. 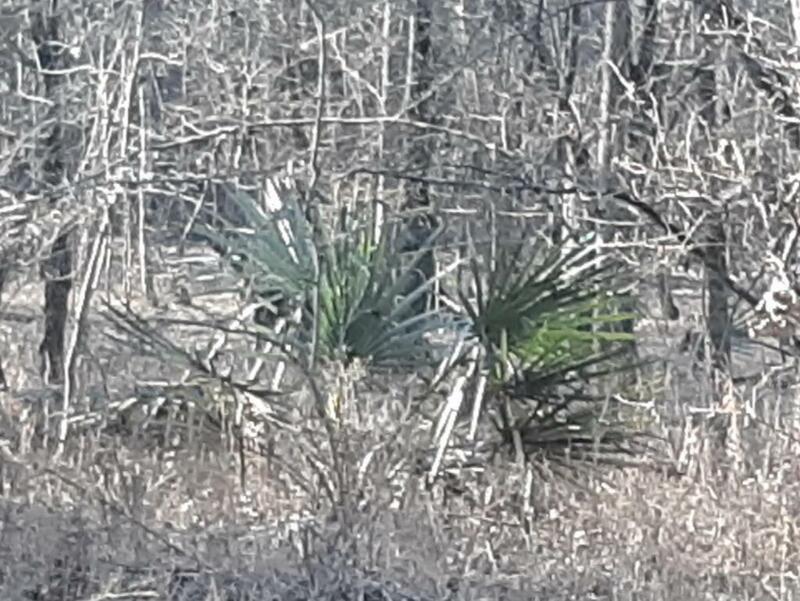 I walked at least a mile through the refuge, mainly to the south, but saw no other evidence of palms anywhere. There were a couple mature palms in the 3-4 foot height range on the eastern bank of the creek. The ground was a few feet above the creek level that day, but obviously the ground is often flooded. 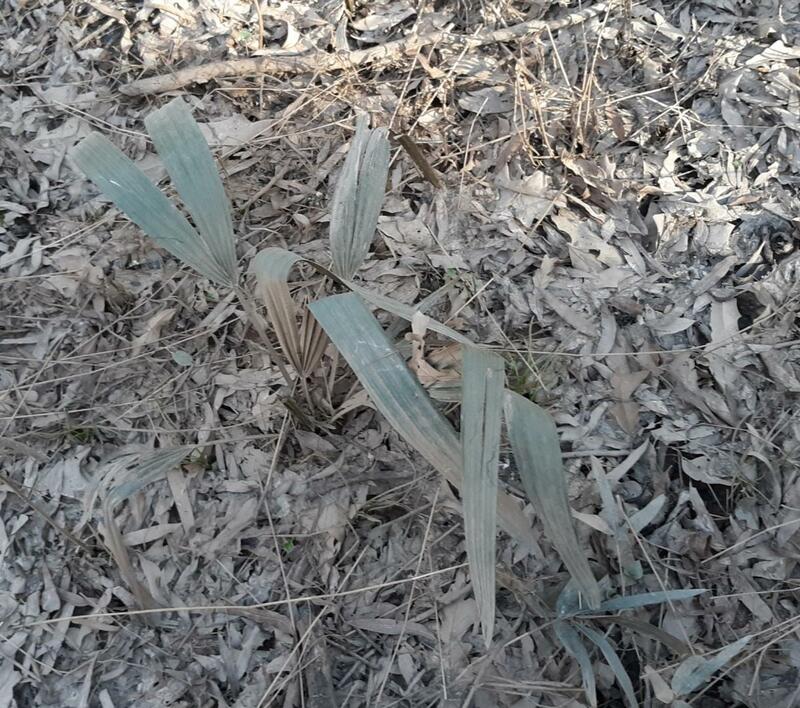 All of the plants have a coating of dirt about a foot of more, indicating where it floods up to. One of the mature palms on the eastern bank had a few seeds remaining, but the vast majority had already dropped or been eaten. Several palms on the western bank were as big or bigger than the ones on the eastern bank. I looked up historical climate records records, and saw that this stand of palms has been exposed to -4 F back in the eighties. So they have some degree of hardiness that all forms of sabal minor would have. Wow! That’s some amazing work you just did. Congrats to you. Looks like a thriving population. I bet there are more Sabal minor stands near Ansonville that haven’t been discovered. 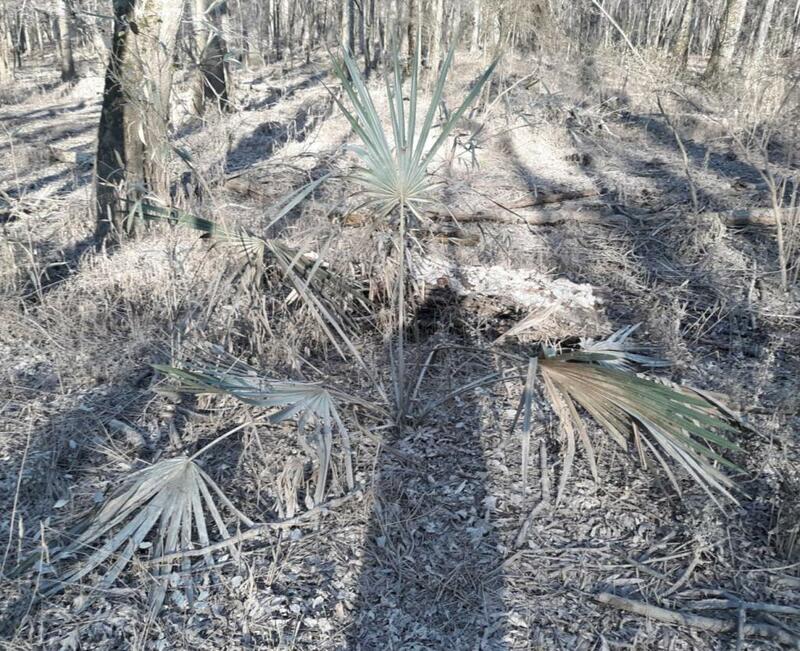 Do you think that this is the westernmost stand of native palms in NC? Who knows if this is the westernmost stand of palms in NC. Who would have thought there would be palms here. There weren't many and they were clustered so close together. Combined with the very small seed size, I would hypothesize that a bird swallowed a seed further southeast decades ago and flew a long distance before dropping it in a remote spot where they are now. The one parent palm sprouted babies that are there now. But how many other times has that happened? Could be loads of places. Where I live is an hour west of here and has the same record low temp. I might scatter some palm seeds along the river and let them survive on their own, but there is a good chance I'll sell the land, and they'd really be left to ther own devices. Apparently Permetter Branch is named after the Sabal minor population. Permetter is supposed to be a butchering of the word palmetto. So I imagine that long ago the population had to be significantly large to get a creek named after it. Permetter Creek is rather small. If it didn't have palms on it, it probably wouldn't have been named at all. None of the neighboring creeks had palms. The area is a popular hunting spot in a place where people love to hunt. It's no wonder the palms were found. From land adjacent to this property in Anson Co. I observed these Sabal minor years ago. This is a very young population, based on 40 years of observing Sabal minor in habitat here in NC. It is from Bird droppings from the hardwood tree canopy. The nearest major, native, old population in NC is around 100 miles to the east and 50 miles to the south in SC. Charlotte, NC, about an hour to the west, recorded 4 below zero in 1989 as did an area in eastern NC where there are many very old populations of Sabal minor. So these would not be considered any more cold hardy than the ones found in eastern, NC that are located from almost the VA line to the north and to the SC line to the south. Sabal minor grow around the little eastern, NC town of Belhaven, NC which recorded a low lower than any town even in the Piedmont of NC. Belhaven's official low is 10 degrees below zero. And V when I told you about this place I told you that in Pamlico County NC permetter IS slang for palmetto in certain communities where these are present. That was the key word that led me to drive four hours to go there a good number of years ago. Hey Gary! Thanks for adding this information. You got to make a map of all these Sabal minor populations in NC.